Started in February, our new feature series Off The Tracks intends to change roles offering a weekly piece of reading narrated by various artists in- and outside the electronic music scene. The newest contribution to the series comes from Portugal’s Techno newcomer Lewis Fautzi. Growing up a little city called Barcelos in the country’s north, Fautzi has been fascinated with electronic music from an early age on and already at the beginning of his 20s released on such labels like Len Faki’s Figure imprint as well as Soma Records. Another platform he’s connected to Oscar Mulero‘s PoleGroup consortium that has just released Fautzi’s third long player The Ascension Of Mind this June. Since Fautzi considers Techno more than just a genre, but a form of art it seemed obvious to ask him to explore his interest in the arts, even beyond electronic music. Fautzi ended up giving us an interesting insight into the Portuguese street art scene and its key artists. Street art has many similarities with music. There’s a story behind every track, just like every wall with some graffiti or painting tells a completely unique tale as well. In my country Portugal they are both somewhat undervalued, maybe that’s one reason why I’ve always identified myself with street art. Especially as this kind of urban guerrilla art is often seen as a marginal act, due to the fact that it’s totally illegal in Portugal. In 2013, a law was passed that punished those who paint graffiti, drawings, phrases, or even single words on a wall without asking the city council for a license first. I think that’s totally unfair. Street art should have an active voice and be regarded as a creative form of freedom of expression. 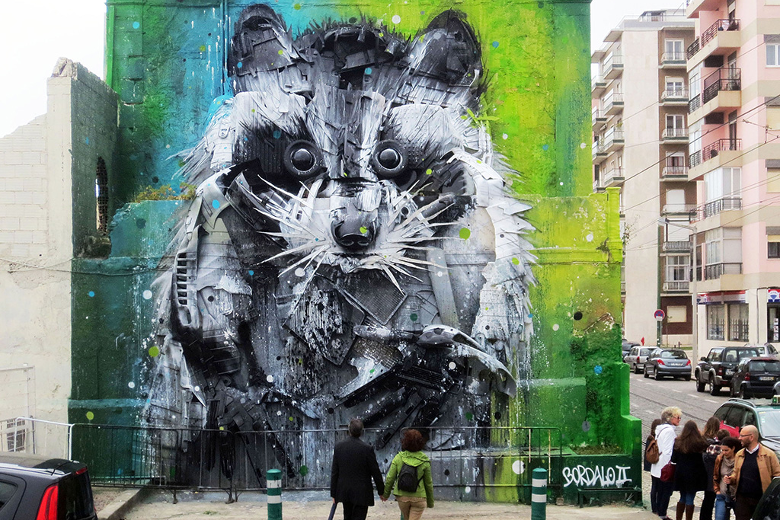 On the other hand, I understand the basic rule as urban artists should be aware of the place where they paint, but I think they do to a great extent. However, I think they can breathe life into every city. Wall paintings and its colors on abandoned buildings which have lost their charm a long time ago can have a reinvigorating effect on the city’s landscape as well as giving a new vision to society. 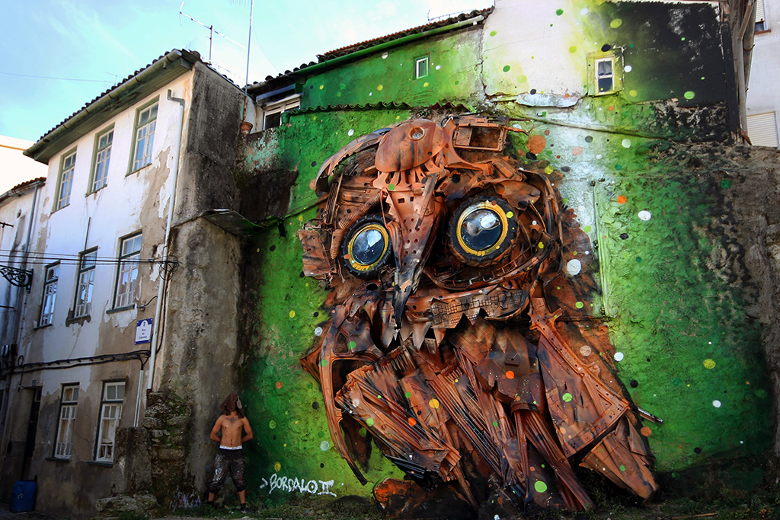 Just like in music or other artistic areas, Portugal has a lot of creative people with huge talent to offer. These include inter alia plastic artists and their great murals which have been recognized among the best in the world, such as Veils (learn more on page 2), Bordalo II, EIME and Odeith – all Portuguese artists, who started by working on the street illegally and are now widely accepted and highlighted all over the world with incredible works and with their very own characteristics.